The Nevada Secretary of State (“SOS”) has created a website for Nevadans to confidentially upload and store their medical directives and powers of attorney. The website, livingwilllockbox.com, can be accessed through the SOS website. By storing your advance directive in the lockbox you and your health care providers may retrieve a copy of the advance directive during an emergency or illness. 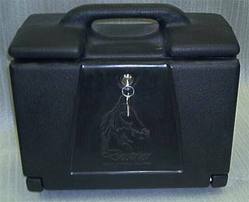 The lockbox will retain declarations concerning life-saving treatment (NRS 449.535-690), durable powers of attorney for health care decisions (NRS 449.800-860), and do-not-resuscitate orders (NRS 450B.420). This service is free. The registrant must fill out a Registration Agreement, which is a basic two-page form, and provide a copy of the advance directive to the SOS office. Agents, including attorneys, may fill out the registration form on behalf of the registrant. The agents must state that they are authorized to act on behalf of the registrant. After receipt of the advance directive, the SOS will send a wallet card with a registration number to be used by the registrant or agent to access the documents. In order to access the documents, there is a webpage which asks for the registration number. The website urges registrants to provide their directive(s) to their family, friends (if named as agents) and health care providers. By sharing this information with trusted associates you can be assured that your wishes will be honored. The SOS reminds registrants not to provide Social Security numbers, driver’s license numbers, or other identifying information on any of the registration material.